There’s still quite some time left untill summer and the next Let It Roll, but the tickets are selling at the speed of light. 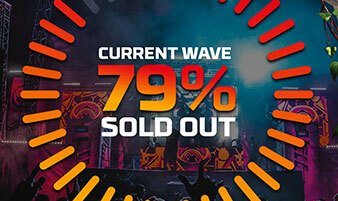 We have already sold 79% of the tickets in the 2nd wave, so if you’re thinking about going, you shouldn’t wait anymore. You can look forward to seeing DJs like High Contrast, Noisia, A.M.C, Black Sun Empire and more, so do not miss the opportunity to get the cheapest tickets right now.